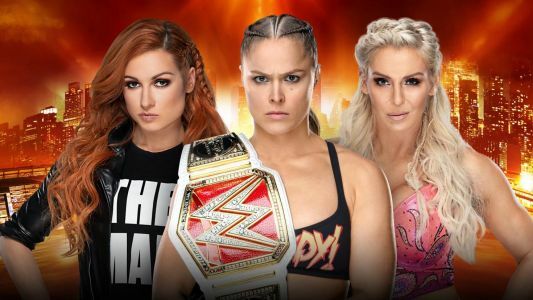 WrestleMania 35 main event will be Becky Lynch vs. Charlotte Flair vs. Ronda Rousey. For the first time ever, a women's match will headline WrestleMania. Considering Ronda Rousey blazed a trail in MMA, it would only stand to reason that she'd do the same in pro wrestling. 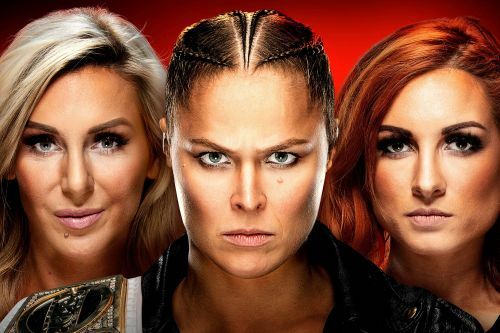 On Monday, WWE announced that Rousey's triple-threat match vs. Becky Lynch and Charlotte Flair will headline WrestleMania, marking the first time in the show's 35-year history that a women's match will serve as the main event. Rousey will defend her Raw women's championship April 7 at MetLife Stadium in East Rutherford, N.J.
Ronda Rousey, Charlotte Flair and Becky Lynch will be part of the main event for Wrestlemania 35. It is the first time a women's match will get the coveted spot at WWE's biggest event.